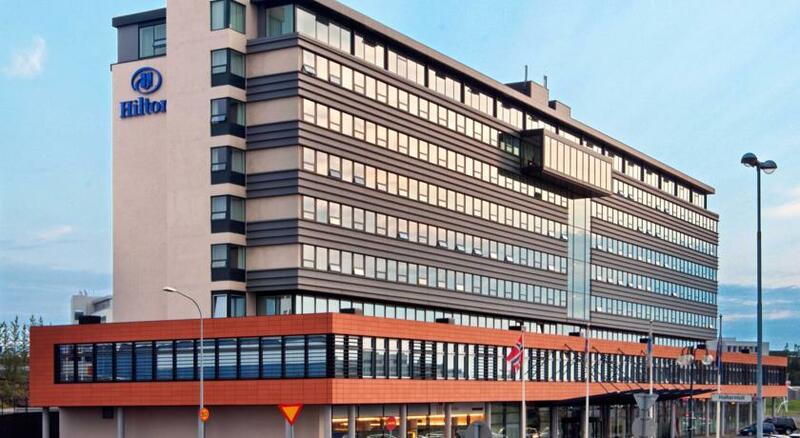 The Hilton Reykjavik Nordica is a very nice hotel centrally located just on the outskirts of Reykjavik. The nightly price was reasonable for Iceland, and the rooms were much larger than expected, decked out in traditional minimalist Scandanavian style. The beds were comfortable, and everything worked perfectly. We booked a couple of nice tours while there, and again we were picked up directly at the hotel. The only taxi we had to take the entire trip was to the National Museum, which would have been an easy walk normally, but not so comfortable in 45 degree weather with 50mph winds! Note: Iceland operates on the European standard, so don’t forget your power adapters or appropriate converters. On the minus side, their internet access was about $15 daily, and it was very “fiddley”. We kept being logged out resulting in numerous charges to the room. These were of course taken off, but altogether it did not have a very smooth operational feel. The other, and probably biggest problem with this hotel is more common to Iceland in general: food is expensive! The buffet breakfast was about $25 per person, leaving us seeking other options. For dinner we found a great Syrian restaurant in the shopping center next door for less than a third of the least expensive Hilton meal. It is possible to take the “FlyBus” ticket, either online or at the airport that will take you directly there. The journey is about 50 minutes – but, be sure to request the ticket that takes you directly to the hotel and not just to the terminal. We bought a round trip ticket for a total of about $70. On the basis of the level of comfort and central location, we’d rate this hotel around a 9/10. Book this hotel on TripAdvisor.